Item# 98510 Size: 16 fl. oz. All purpose, all surface cleaner to eliminate odors and clean away organic contaminants, dirt, & stains such as water lines and mineral deposits. 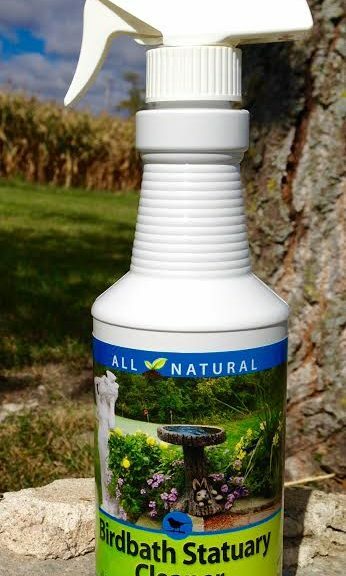 Like all of our products, Birdbath Statuary Cleaner is made from all natural enzymes that are safe for wildlife and the environment. Spend LESS time scrubbing your birdbath and MORE time enjoying it.